Lena Horne was written by Leslie Palmer. 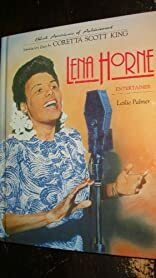 Lena Horne was published by Grolier Publishing Company. About Leslie Palmer (Author) : Leslie Palmer is a published author of children's books. Published credits of Leslie Palmer include Lena Horne (Black Americans of Achievement).